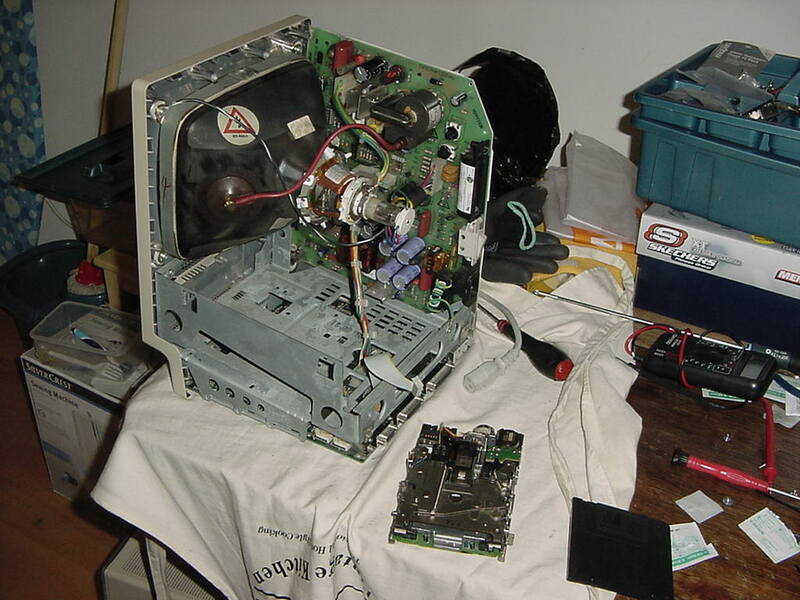 If you own an Apple Macintosh computer such as the 128k, 512k, Plus or SE, the chances are at some point you have needed to repair it, be it from a faulty power board or seized up floppy drive. The fact is these vintage computers are getting old and were not built that well to begin with, which makes repairs inevitable. So what do you do when your Macintosh develops a problem? Well, if you search the internet you will discover a wealth of sites and forums dedicated to collecting and maintaining a variety of vintage Apple machines. Something you might encounter whilst you search the net trying to fix your poorly computer, is the classic mac repair guide. 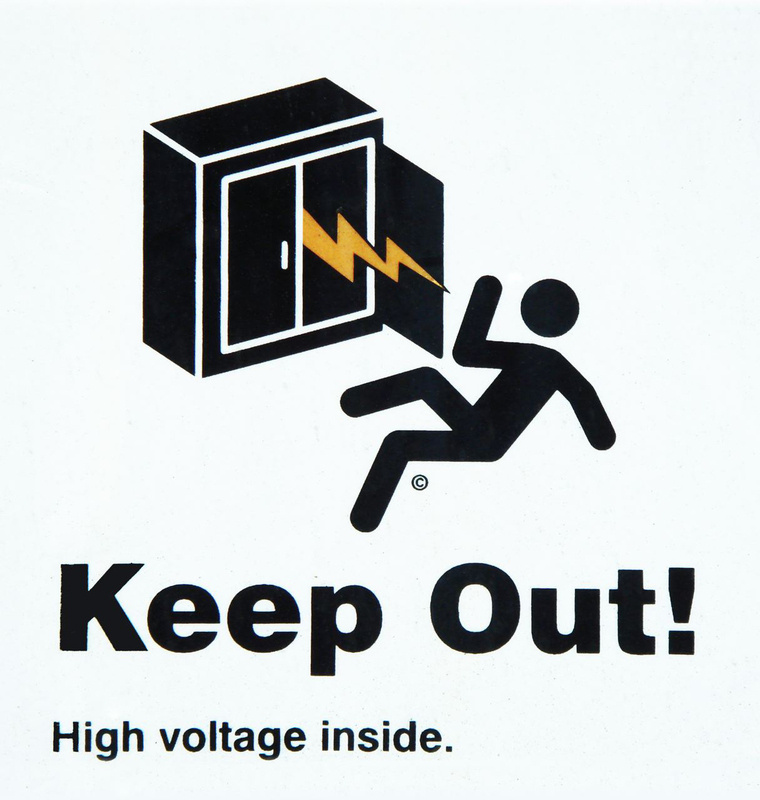 This handy PDF has been around since 2000 and is part of every classic mac owners library. For many it is almost the holy grail of computer guides, packed with useful information and guidance. I carry it around on my tablet all the time and use it extensively to repair my Plus. The golden nuggets held within its pages offers any Macintosh owner the chance to bring back their computer from the jaws of silicon death and if that wasn’t good enough, this guide book is completely free! Using this book for reference for well over a year, I came across a fault with my Plus that wasn’t covered. Before breaking in to a full blown panic, I decided I would try to seek out the author for their input. As all I had to go on was a name, Thomas H, Lee, I have to admit, at the time I wasn’t sure how successful I was going to be. After a few days of searching online, I had a couple of results. Picking the most promising, I shot an email out to a professor working at Stanford University. I admit, I was pretty skeptical that I had the right person and even if I did, whether the Professor would have time to spare on a crazy hobbiest trying to repair an obsolete Apple computer. Imagine my surprise when several days later, I found an email waiting for me in my inbox. The email confirmed I had indeed found the same Thomas Lee who had written the repair guide and best of all his passion for these old machines was as strong as ever. After exchanging several emails, Thomas, was also a little puzzled over the behaviour of my Plus. He recommended I replace the transistor controlling the horizontal voltage, along with the C1 capacitor. This fixed my problem and the Plus fired back up. It was during these emails back and forth, that I decided to ask Thomas if he would care to do an interview for ByteMyVdu. Given how much I’d used his guide over the past year, I felt it was only right to give something back. The author behind this amazing guide certainly deserves a place on BMV. His thorough and tireless work has mostly likely led to the resurrection of more then a few old Macintosh systems around the world, including the one at BMV! I’m not aware of any other interviews with Professor Lee regarding his passion for classic Macs, so I hope you will all enjoy this little peek at the man behind that fantastic repair guide. 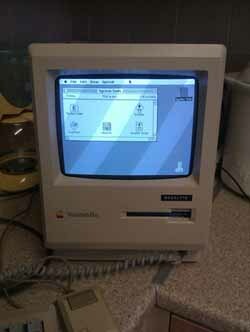 When did your interest in Macintosh computers begin and for what reason? The Mac’s debut in 1984 was closely watched by my fellow geeks at university. Once an actual Mac showed up for sale at the student center, a group of us spent an afternoon playing with it. It intrigued and baffled us. We argued about whether it was a toy, whether a GUI was an advance or a gimmick, and whether this represented the future of computing or a passing fad. We all complained about Apple’s religious and short-sighted opposition to users upgrading the machine’s hardware. But we all liked the quasi-portability of the little guy. I really wanted one, but its $2495 price was just beyond what I could afford at the time. Luckily, I had richer friends who bought Macs, so I got to play with these marvels from time to time. I was finally able to buy a Plus in late 1988 (at the bargain price of $999) as they were reaching the end of their manufacturing run. I thought I got the deal of the century, and just in time, too, to write my PhD dissertation on that machine. What caused you to make the repair guide? Within a fairly short time, my friends started to complain about their Macs failing. Apple was good about providing warranty service, but once the warranty period ended, I started getting a steady stream of friends (and their friends) swinging by for me to “take a quick look” at their dead Macs. For my own use I documented the repairs I did, and after a few years I realized that I had come close to having reverse-engineered the entire analog board. So one weekend I just decided to finish the job. A couple of years later, the Web took the world by storm and Mac fans gathered together to share tips. I noticed the same questions popping up about classic Macs and their problems, so I decided to add some pics and hints to the schematics I’d extracted and write it all up in a document for others to use. Did you expect it to be so popular and used by so many people? I didn’t really think that it would get used too much. Classic Macs are long past their prime and I figured that only a few diehards would have the interest and ability to make use of my little repair guide. But the price is right, so I guess that has helped get it in the hands of more people. 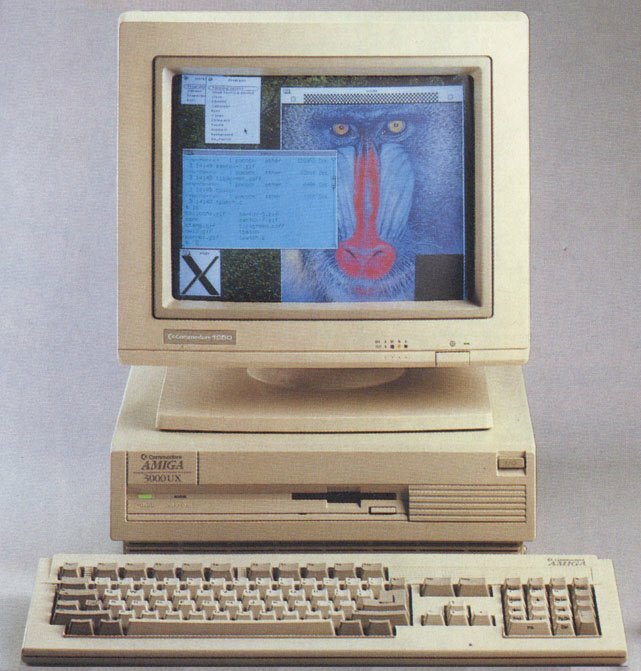 I’m grateful to the late “Gamba” for having hosted the first picture-less version, and the 68k Macintosh Liberation Army for hosting the second version. Early macs are only getting older, do you still think computers such as the Plus have their uses in 2013? I have to admit, sadly, that I power up my Plus less frequently than I used to, and then mainly out of nostalgia. It still works just fine as a writing machine, so that’s what I still use it for from time to time. My undergraduate students are fascinated by how much an 8MHz CPU can accomplish (they are astonished that it can run a browser). It just increases their admiration for all things Apple. It really amazes them to compare the capabilities of a Plus to those of contemporary DOS machines. I also use bits and pieces of the analog board design as lessons in good (and less than good) engineering (“Lesson 1: Why you have to do a bit more than just eliminate a fan”). How do you feel about Apples decision to class G3/G4 and even some early intel Apple computers as obsolete? Are they as important to preserve as the early 80’s macs, such as the 128k, 512k and Plus? That’s a tough question, and I suspect that different people would give quite different answers. Those whose work depends on cutting-edge performance probably shed no tears when older gear is consigned to the scrap heap. I am a sentimental type with a deep interest in the history of technology, so I tend to go overboard in preserving older machines. Thanks to the “use and discard” philosophy that prevails in society today, I can pick up interesting and still-useful machines for nothing or next to nothing. Just last month I was given a dead 17″ G4 “iLamp” in beautiful cosmetic condition. Its only problem was a bad stick of RAM. It now spends much of its time converting my CD collection into MP3 files. Its 1GHz single-core CPU is more than capable enough to handle that job with grace. And it meets the all-important spousal acceptance criterion of looking nice. I would like to thank Thomas for all his help and for also providing so many of us with the tools that keep our beloved computer alive and kicking, and finally for being a good sport and participating in this little interview. Until next time, keep geeking! So, for what seems now like an eternity, I have been working on the old Macintosh Plus. I certainly feel like I’ve been through a war with this computer to say the least. Any of you following my blog with know I have spent some time restoring this classic computer. At the beginning of last year, the display died, leading me to fault-find the analog board and replace component after component, finally getting the beast to power up, only to have the floppy drive start jamming up. It really has been a labour of love and not one I should care to repeat any time soon. After 25+ years, the lubricant inside the floppy drive of the Plus has seen better days, now resembling a dried goo. So, time to take the floppy drive apart. Now if you have a Plus and you have read horror stories about people messing up their drives, it is probably because they didn’t do it properly. It actually isn’t that hard, so long as you take your time and pay attention to what you are doing. Before you start, a good idea is to consult the tutorial on the 68kmla forum which does a pretty good job of showing you how to service an 800k floppy drive. Again, pay attention to what is says. There are springs inside the drive, which if pulled to far, will loosen their tension and result in your drive being permanently buggered. Cleaning the gunk out the drive, what fun! So after taking the drive apart, I used silicon grease to lubricate all the areas that needed doing. I really thought at this point that everything was going pretty well, which is usually when disaster strikes! 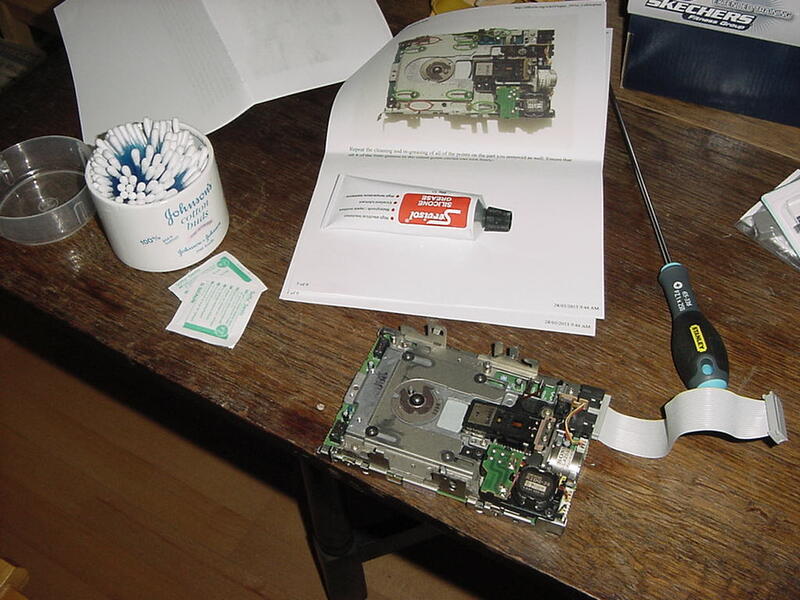 When I rebuilt the floppy drive, I couldn’t help but notice the whole mechanism felt stiff and not smooth at all. Stripping it down once more, I reapplied more grease and still the whole mechanism felt like it was grating. It couldn’t be grit or dirt as I had cleaned the whole thing out, so that left me thinking perhaps it was the lubricant I was using. I had bought silicon grease after reading someone one the 68kmla forum recommending it. Removing as much as I could with an alcohol swap, I used some wet lubricant, designed for bicycle chains. I’ve used this on a front door lock which was sticking and boy did it work. A year on and the lock still works super smooth. If it worked for the lock, I was hoping it would work for the floppy drive. Sure enough dropping a few dabs, the drive ran back and forth much smoother then before. With this promising start, I reapplied fresh lubricant to all the needed areas and reassembled the drive. Unlike my first attempt the Plus did not lock up while trying to eject a disk, it ejected it each and every time I inserted a floppy. Time for a big sigh of relief right? After rebuilding the system and leaving the lid of, I tried firing up the Plus to test it before closing the lid. Anyone who works on their own computer, will tell you never to put the lid on until your completely sure, without a doubt that the damn thing is working, for the exact reason I am about to describe. Thinking nothing could go wrong, I flicked on the power switch and the Plus did not power up, instead it made a slight fizzle and then nothing. Unlike previous fizzles, this one was like the CRT discharging, which was odd. Turning it off and wearing protective gloves, I wiggled the lead linking the analog and logic board together and tried again. Still nothing from the Plus. This was getting frustrating. Why was it not booting? I hit the side of the analog board and suddenly the Plus fired up, which meant a dry joint. Reflowing some of the caps and joints that I thought looked suspicious, I managed to get the Plus working once more. I still suspect a component to be the guilty party, but I wont know that until I’ve used the Plus further. For now however, the old beast appears to be working. Thanks has to go Prof. Thomas H. Lee for his amazing PDF guide (which I will be doing a blog about very soon), Thrashbarg for his overwhelming help when problems far exceeded my electrical knowledge, and finally all the guys on the 68k Macintosh Liberation Army Forums. For now, keep on geeking! While I’ve never been a huge fan of then new products that have come out of the gates of Apple in recent years, I have always held a special place for the earlier products. The Apple Macintosh Plus, the SE/30, Pismo, Lombard, Powerbook 145. All of these machines I have either used or owned as some point in my life. I’m no expert on Steve Jobs, if you want to learn about the man behind Apple, I’d highly recommend Wikipedia. Back in the mid 70’s computers where large, noisey machines, that took ages to operate and if you got your coding wrong, it could cost you hours of work. In 1976, Steve Job, Steve Wozniak, and Ronald Wayne founded Apple Computers, inc. Selling kits for the Apple I and later the rather successful Apple II. Many people will remember Apple and Jobs for the Macintosh, the famous 1985 Super Bowl commercial would cermented the tiny personal computer in minds of many of those who saw it. 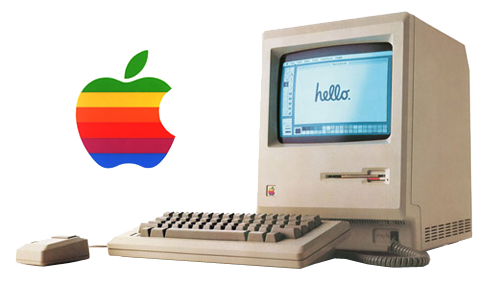 The Macintosh was the first personal computer to feature a mouse and graphic user interface as opposed to the command line interface being used by IBM and other micro computers at the time. Surprisingly the Macintosh did not sell as well one might expect. The new GUI caused headaches for companies with existing software designed for command line interfaces. Resulting in many software houses not warming to the new platform initially. While the Macintosh had a strong following of fans and enthusiast, there where those who branded it a toy. Indeed this label would effect how the machine sold commercially in the business sector. While Jobs disliked IBM for their East Coast ethos, the fact remained that the IBM brand held a lot of weight in the business industry. The Macintosh and it’s fruit branded company, where generally disregarded as professional work machines. An image Apple would struggle with for many years. Some people argue that Jobs was no visionary, while others bless the ground he walked on. Personally, I can’t help but respect a man who has achieved so much. When Jobs returned to Apple in the early 90’s after being fired, he returned to a sinking ship, Apple had lost direction and was leaking cash. Thanks to Jobs and the work he has done with his company NeXT, he turned the company around. 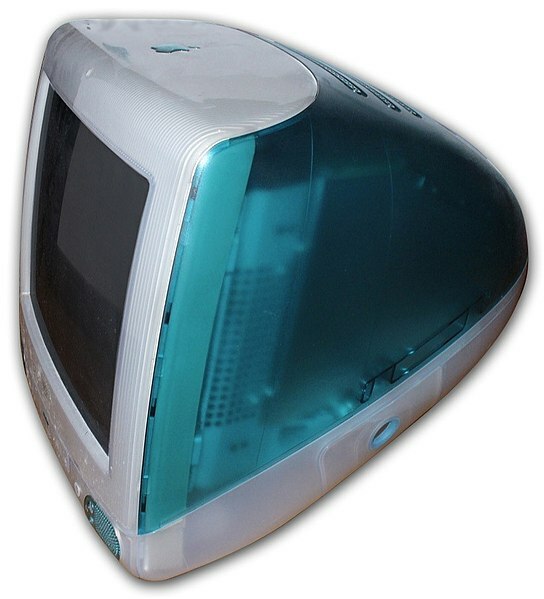 In 1998 he introduced the Imac, a clean, smart looking computer that harken back to the original Macintosh. 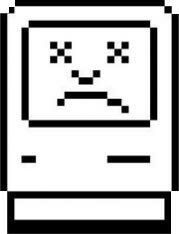 The legacy-free Imac was the first Apple machine to come with USB and no floppy drive. The slot loading computer was purposely aimed for the consumer. Even the I in Imac, which stood for internet. While the early models suffered from the slow speed of USB 1.0 and a lack of an internal CD writer. The machine sold well and placed Apple back in the game. The colourful candy cane transgluescent case design would later be used with the G3 Powermac and Ibook. This iconic look would go on to sell Apple millions of machines. Jobs had hit upon a hole in the market, in a word, asthetics. Turning the personal computer from the beige appliance we where all used to and in to something that was pleasent enough to have in the living room. I recall the days of the clam shell ibook, every teenager wanted one. The colourful design and choice of colours gave a degree of individuality to one’s ownership. Today it’s not uncommon to find most manufacturers offering their laptops, netbooks, tablets in a variety of colours or cases. A principle brought about by Apple all those years ago with the humble Imac. Steve Jobs had an uncanny knack for knowing what the consumer wanted, even if they didn’t know themselves. I admire that greatly. If it where not for him, I’d not have a generic Android tablet, which was brought about by the boom of the Ipad. Again another market that HAD been touched on by other companies, but with awkwar and heavy XP/WinCE driven devices. It seems only fitting, to end this blog on a high note, by watching Steve do what he did best. After retrieving the sorry looking Plus from the loft and removing it from the bag I had placed it inside. I sat down in the kitchen with the old friend on the work top, full of hope that once I was through, the little black and white screen would be firing back in to life. Sadly after an hour of soldering a replacement cap on C1 there was no signs that I had succeeded. Just as dead as before, I sense something far more serious has befallen the analogue board. While I sit and wait for a replacement (sourcing has already begun) I plan to return to my guides and PDF’s. Hopefully another glance in them, may reveal why my repair job was such a flop. 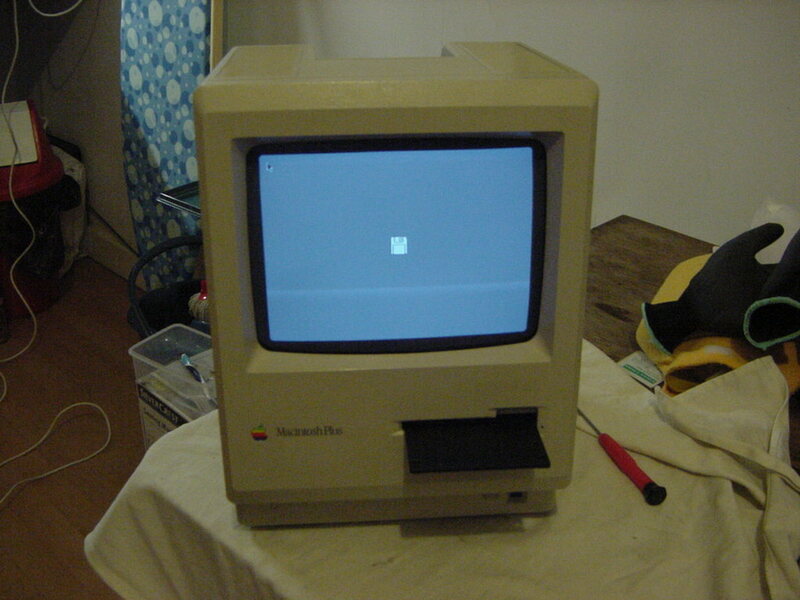 Later today I intend on repairing the Classic Macintosh Plus which i have sitting in the attic. With some luck it is a simple fix to the analogue board, popping a capacitor off and replacing it with a new, more reliable version. Watch this space to see how i get on..